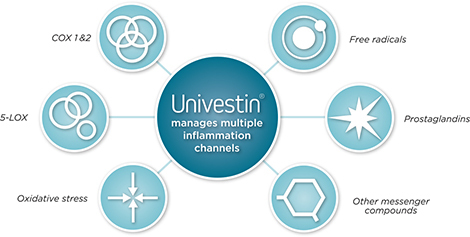 Thank you for your interest in Univestin. 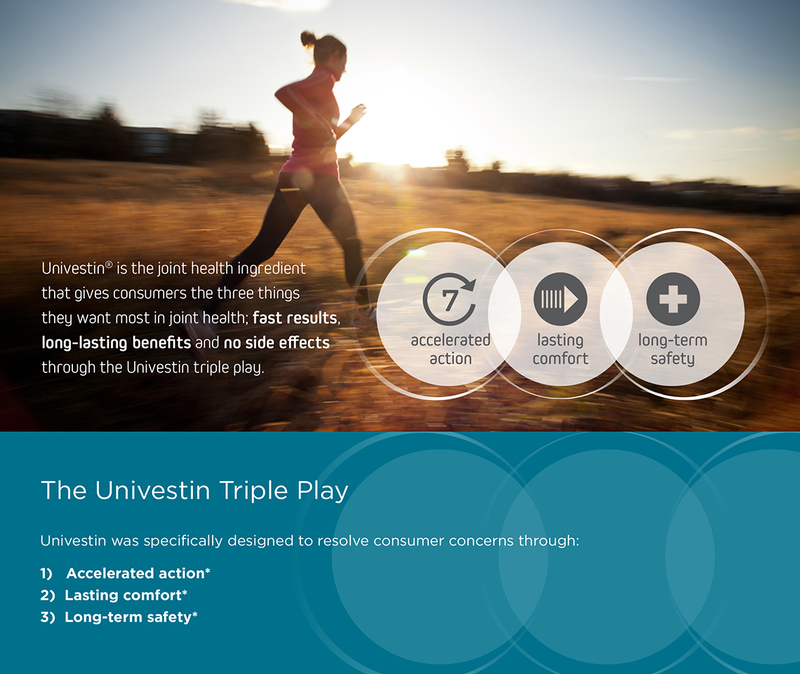 Please use this form to find out more about the Univestin triple play. Subscribe me to receive news from Univestin.com. Many over-the-counter and prescription joint-health drugs can have significant side effects, (including GI, liver, kidney and cardiovascular toxicities) which limit their long-term safe use for most individuals. 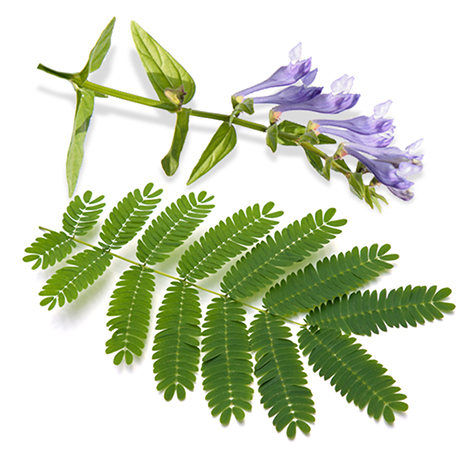 Concerned consumers are seeking natural joint-health solutions that have been proven safe for long-term use. Joint discomfort and stiffness is caused by a complex cascading reaction to thinning joint cartilage. Many joint health ingredients attempt to tamp down the body’s natural “reaction cascade” by addressing a single mechanism-of-action (MOA), but research has shown that the body often adjusts to such single-channel solutions by activating activity in other channels. and see what the Univestin Triple Play can do for your product. © 2019 Unigen, All Rights Reserved.